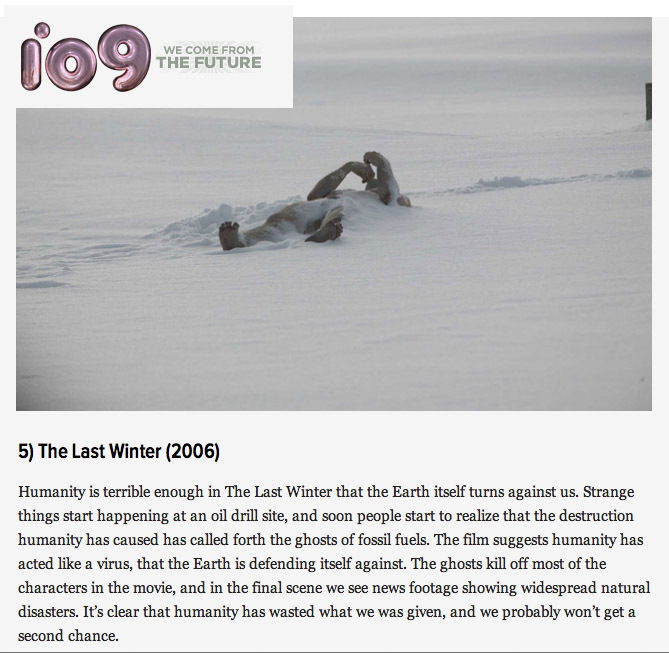 Fessenden’s THE LAST WINTER included in Emily Stamm’s list on io9. Post includes many GEP favorites including LET THE RIGHT ONE IN, FRANKENSTEIN, THE MIST and DAY OF THE DEAD. Check it.